Making Haste from Babylon: the Mayflower Pilgrims and their world. A New History. I couldn’t imagine what more there could be to tell about the Pilgrims. I loved the recent Mayflower book, and tend to keep up to date with this historical era. I have even visited sites on both sides of the Atlantic. I have several relatives that came over on that ship (and many since then), so have alot of historical knowledge. And here is another book, that really DOES have more insight, and even more information. There is an excellent index, as well as footnotes to each chapter, with references should you chose to delve further. Some of them are well worth reading (e.g. the title!) but also just to see what sources he found. I understand all too well the attics he must have sifted through to find many of these documents. And saved them for posterity! It is a fairly dense read, involves a lot of economics, as well as politics, but really is fascinating. I might be biased, but I will return to reread sections of this book, and have recommended it to all my family. 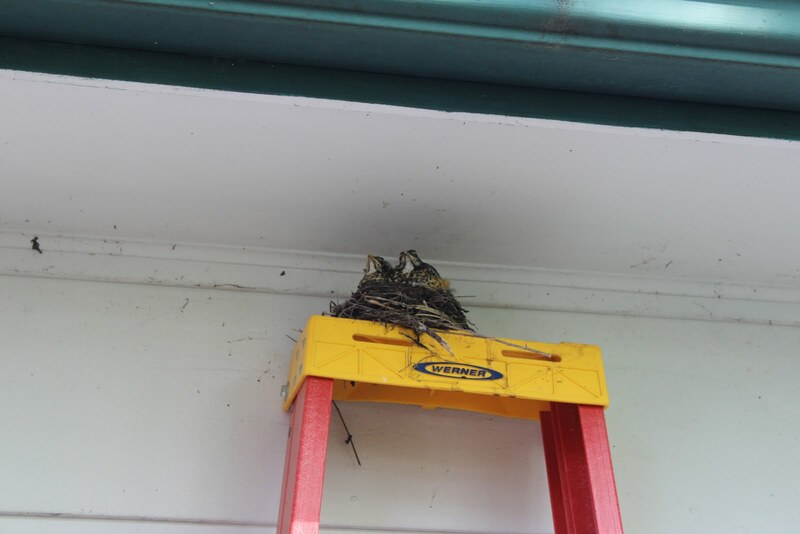 NB the baby robins in the photo just launched themselves into the new world today. This entry was posted in Uncategorized and tagged History, Mayflower, New England, Nick Bunker, Non-Fiction, Pilgrims.